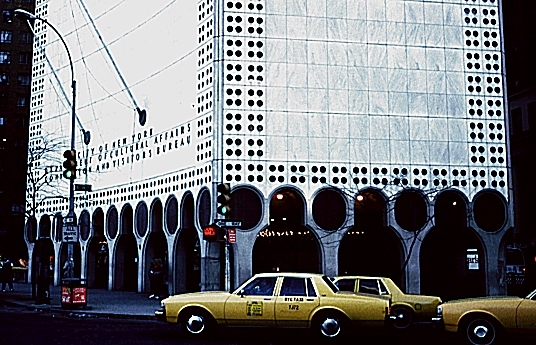 Images of New York City Department of Cultural Affairs, New York City, by Edward Durell Stone, 1963. Digital Imaging Project: Art historical images of European and North American architecture and sculpture from classical Greek to Post-modern. Scanned from slides taken on site by Mary Ann Sullivan, Bluffton College. 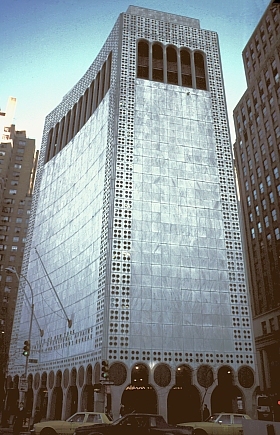 Commissioned by Huntington Hartford and originally serving as an art gallery, this centrally located building (2 Columbus Circle) now serves as the convention and visitors' bureau for the city of New York. 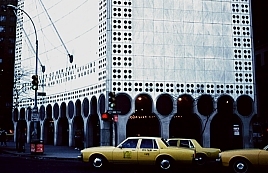 The building with its marble facade was called by architecture critic Ada Louise Huxtable "a Venetian palazzo on popsicle sticks." 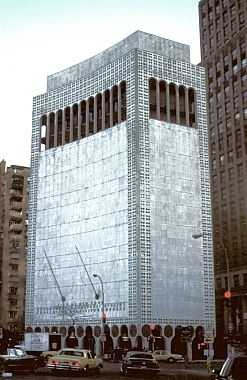 Yet another architect and critic, Robert A. M. Stern, has included it in his list of 35 modern buildings he deemed deserved landmark protection. 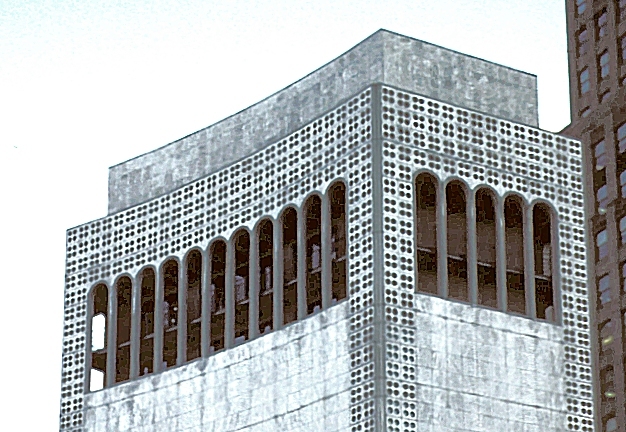 Other works on this site by Stone include: Amoco Building, New Graduate Residence Hall (University of Chicago), and the State University of New York at Albany.